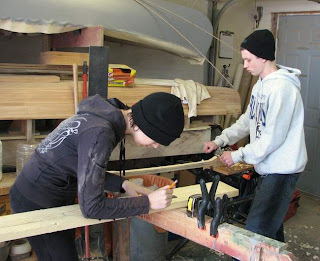 I hosted the local Scout/Venture group for a paddle making workshop last weekend. The kids worked hard and steady (for their age). the each made pretty good progress on a pine paddle. 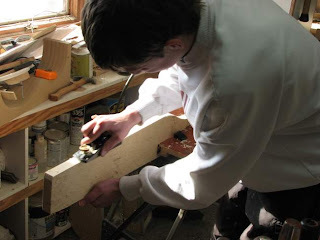 Pine was chosen for its easy workability with hand tools. There is still quite a bit to do and we will be having more session, but not full days like this. Posted by Doug Ingram at 10:30 p.m.